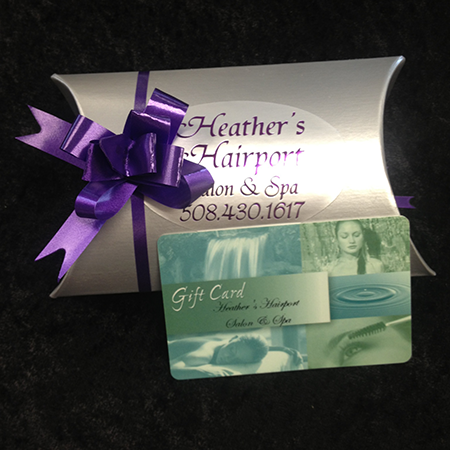 At Heathers Hairport we offer Gift Certificates in any denomination or for any of our many services. You may also use your gift certificate for any item in our retail shopping area. For your convenience you may purchase gift certificates over the phone or by email , and we will send them out to your loved one.